I-95. I-66. The Beltway. Cars zip around Alexandria, Fairfax and other Northern Virginia highways every day — and collisions are inevitable. If you are the victim of an accident, you may have the right to seek compensation. We are here to help. Over the course of more than 30 years, we have recovered millions of dollars in personal injury claims compensation for our clients in Northern Virginia, including Alexandria and Fairfax. In addition to car accidents, we also handle truck accidents, motorcycle accidents, bicycle accidents and pedestrian accidents. You might expect an insurance company would be sympathetic and fair. You might think the insurance agent is interested in helping you get the money you need. We know better. Insurance companies’ true objective: pay as little on a claim as possible. Most insurance companies are big businesses. They don’t make their big money by giving it away. They do everything possible to protect their bottom line. If you have received a settlement offer, it’s likely less than what you are entitled to. Accident victims are often surprised when we review their case. We add up your medical costs — past, present and future. The number we come up with, the number that is fair and that we will fight for, is often substantially higher than the insurance company’s settlement offer. When you’re ready to call, we’re ready to help. Reach us at 703-836-9030, or contact us here. Gregory M. Wade was born in Washington, D.C. and raised in Northern Virginia. 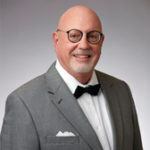 Since 1977 Mr. Wade has been engaged in the private practice of law in Northern Virginia and has been an active leader in the Bar and in the community.